African wetlands are among the most productive and biologically diverse ecosystems in the world, but they are also experiencing immense pressure from human activities, the most important being drainage for agriculture and settlement, excessive exploitation by local communities and improperly planned development activities. The future of African wetlands lies in a stronger political will to protect them, based on sound wetland policies and encouragement for community participation in their management. Since 1971, the Ramsar Convention on Wetlands has been the intergovernmental treaty providing the framework for national actions and international cooperation for the conservation and wise usage of wetlands. To date, 169 countries have adopted the Ramsar Convention and have designated 2,220 wetland sites of international importance for a comprehensive area of more than over 214 million hectares. Lack of data, appropriate information and challenges in human and institutional capacity put a serious constraint on effective monitoring and management of wetlands in Africa. Conventional data are often lacking in time or space, of poor quality or available at locations that are not necessarily representative for wetlands. Therefore, the Ramsar secretariat, the global coordinating body of the Ramsar Convention on Wetlands, has long recommended making more use of new and innovative technologies, such as those offered by remote sensing. Yet, access to suitable remote sensing data for monitoring wetlands in Africa has also traditionally been constrained either because of high costs or, especially in Equatorial Africa, owing to frequent cloud cover. This situation is about to change rapidly and fundamentally as the Sentinels, a new generation of satellite missions from the European Space Agency, will provide routine global monitoring capacity in the coming years, and thereby deliver an unprecedented amount of free and open data that is highly relevant for wetland management. The availability of the growing volume of environmental data from the Sentinels, combined with data from long-term Earth Observation archives (e.g. ERS, Envisat and Landsat) represents a unique opportunity for the operational usage of EO for wetland inventorying, assessment and monitoring in Africa. However, it also poses major challenges in terms of data access and exploitation in order to achieve its full potential. To meet these challenges the European Space Agency and the Ramsar Secretariat have jointly launched GlobWetland Africa as a major initiative to facilitate the exploitation of satellite observations for the conservation, wise-use and effective management of wetlands in Africa and to provide African stakeholders with the necessary EO methods and tools to better fulfil their commitments and obligations towards the Ramsar Convention on Wetlands. 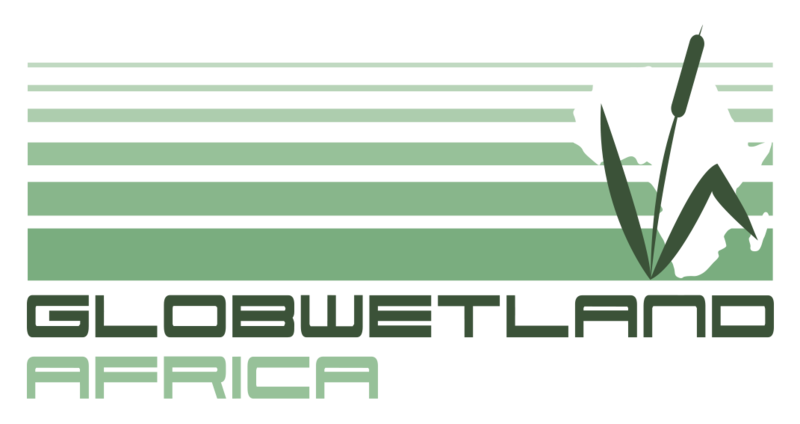 The GlobWetland Africa (GW-A) project will build on the legacy from previous ESA projects such as GlobWetland-I (2003-2008) and GlobWetland-II (2009-2014) by further developing tools and products exploiting the broad range of newly and freely available satellite observations primarily from the Sentinel missions of the European Copernicus initiative but also from contributing missions such as the US Landsat missions. Furthermore, it will leverage developments achieved in the TIGER programme (since 2002) and recently the operational implementation of this programme in the TIGER-NET project (2012-2015) and the TIGER Capacity Building Facility project (2008-2015) focusing on capacity building and open source toolbox development specifically designed for water resources management in Africa. GlobWetland Africa will help African authorities to make the best use of satellite-based information on wetland extent and condition for better measuring the ecological state of wetlands and hence their capacity to support biodiversity and provide ecosystem services. To this end, an open source and free-of-charge software toolbox will be developed for the end-to-end processing of a large portfolio of EO products (including wetland inventory, wetland habitat mapping, inundation regimes, water quality, mangroves mapping and river basin hydrology) and the subsequent derivation of spatial and temporal indicators on wetland status and trends, from local to basin scales. The proof-of-concept and proof-of-value of the GW-A Toolbox will be provided through a set of use case demonstrations executed over +70 pilot areas spread across the African continent. In addition, the project will also organize regional training courses for the partner organizations and ensure technical assistance during a period long enough to allow for an appropriation of the provided methods, tools and products. As an ultimate objective GlobWetland Africa will aim to enhance the capacity of the African stakeholders to develop their own national and regional wetland observatories, and thereby also acting as a key contributor towards the development of a Global Wetlands Observing System (GWOS).